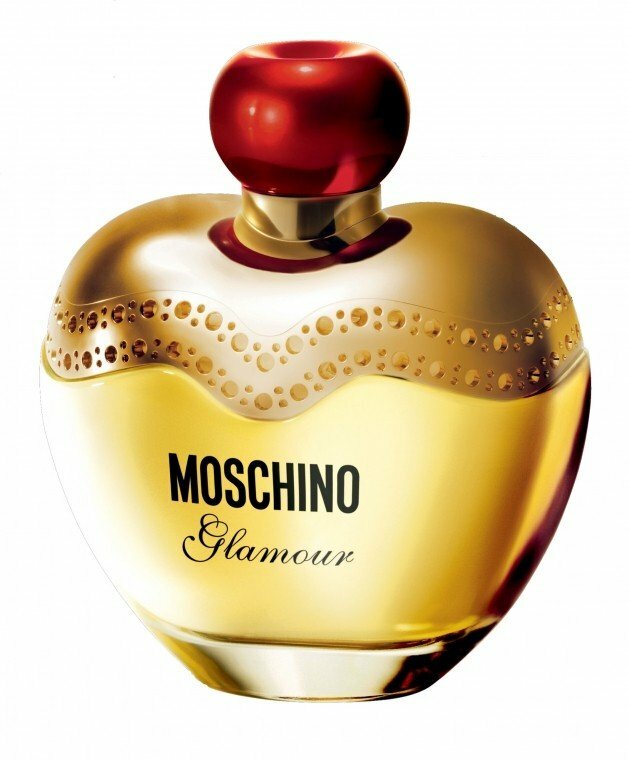 Glamour is a perfume by Moschino for women and was released in 2008. The scent is floral-sweet. It was last marketed by EuroItalia. I'm quite an admirer of Moschino, particularly their fruity florals. I do however enjoy their stronger, more 'golden', sophisticated scents like Couture, Moschino and of course Glamour. I did not take my nose from my wrist for many an hour when I first sprayed Glamour. I was initially intrigued by its smooth elegance and distinguishable Italian style. To me it smells cozy yet extravagant. It has a really pretty exotic richness, mostly brought about by the salt and frangipani notes. I can tell it's a different kind of fragrance straight away, and that's what I love about Moschino, they take risks. I liken this fragrance to the scent of an exclusive bar in a five star restaurant. It's slightly boozy, but it also smells of flowers and a mixture of women's expensive perfumes wafting through the air. The scent is balanced, even a touch smokey at times, but all in all, quite fresh and feminine. The drydown is smooth, naturally sweet and woodsy, a delicious blend of amber and cedar. I'm really enjoying this fragrance throughout every part of its development. I'm a little shocked to see that there are some people that dislike Glamour. I think it deserves more praise than it is given. Usually flankers are launched subsequent to a wildly popular iconic perfume in order to capitalize on the successful marketing campaign already underway by quickly creating some other juice and putting it in more or less the same bottle and giving it a similar name. All of this creates the impression that the new release is going to be just as exciting as its namesake. More often than not, in my experience, the flanker is a disappointment relative to the original, often, I believe, because less effort and financial investment is put into the composition of flanker formulas. They seem usually to be slightly tweaked versions which may or may not work as well as the original perfume did. In the case of Moschino GLAMOUR, I find that basically the opposite happened. 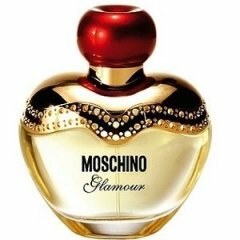 Perhaps it is because I wore Moschino TOUJOURS GLAMOUR (the flanker) several times before trying its namesake, but the truth is that I feel that the flanker is a vastly improved version. True, I love violets, and they are prominent in the flanker and absent in GLAMOUR. In a side-by-side comparison, I definitely prefer TOUJOURS GLAMOUR to GLAMOUR, but I also think that GLAMOUR, judged on its own terms, is a pretty basic and generic light floriental fragrance which does not stand out from the crowd. Despite the exciting list of notes, GLAMOUR ends up smelling to me like just another inoffensive floriental among hundreds. It's definitely wearable, and does not turn stale or rank, but the sillage is low and longevity poor, and although I'll wear what I have, I probably will not purchase it again. If you like violets and are trying to decide between GLAMOUR and TOUJOURS GLAMOUR, I'd definitely recommend the latter. On the other hand, if you are a violet-phobe, you might prefer GLAMOUR! Glamour is an upbeat and modern scent. When I bought this perfume I was somewhat influenced by the name thinking that this will be a glamorous evening scent but after wearing it a few times I can picture it more on a young model in a funky designer outfit walking on the runway to an upbeat song. This scent definitely has a modern vibe and could be worn on a casual night out with friends or to work. The opening of this fragrance is sweet and fresh at the same time. There is also almost an herbal note from the artemisia. The scent develops into a floral bouquet, mostly hibiscus, coated in a large doze of sweetness. The composition remains linear in this sweet hibiscus state for quite some time. The sillage is quite nice on my skin. It is not overpowering but not too light. After 4 hours I end up with a skin scent of a light musk. It is definitely a nice, modern scent to try but I recommend testing before buying. At times I absolutely love it and other times it just does not work for me. Perhaps this is due to its rather unique composition that mixes the warm, sweet floral notes with slightly cool, herbal and salty accord. I find that it works better for me in the fall and winter time and when it works, it smells chic and sophisticated.